Have you ever been pushed to your limit? What if you got there by helping others in a way you felt called by God to do? Was he far away and distant. Or, close as you learned he was taking care of you deeply? 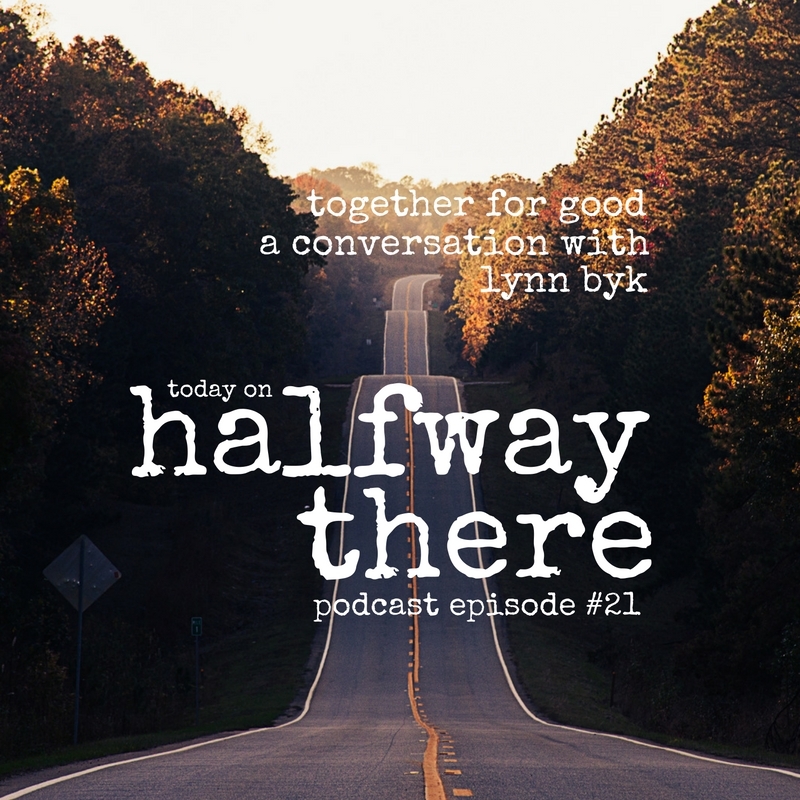 Today’s guest is Lynn Byk who shares the experience of going to the limit of herself only to find that God led her to an unlikely relationship that changed her life. In fact, all the relationships that Lynn shares in this episode will move and inspire you from her days as a missionary in South Africa at the end of apartheid, to the way she led her husband to Christ, and finally, how God healed her after a painful estrangement with her neighborhood. God showed Lynn that he uses even our most painful experiences to bring us back to Him, together for our good, and that she can trust Him in that process. Lynn wrote a book about one of those relationships called Mr. B: Living with a 98-Year-Old Rocket Scientist which you can get at Amazon (affiliate link).Lynn wrote a book about one of those relationships called Mr. B: Living with a 98-Year-Old Rocket Scientist which you can get at Amazon (affiliate link). The only way I can tell you is if you ask him to reveal himself to you. Ask him if the things you learned when you were a kid were real. I’ve learned that I don’t have to have chapter and verse to explain my life…there’s so much of Scripture that’s just story and the story is the process of a human being living and how God interacted in their life. To get more great books like Mr. B., see Lynn’s publishing website, Capture Me Books also. Did you relate to Lynn’s story? If so, wouldn’t your friends like it too? Share the show with them today!